Neville shared his views on racism at a recent SRtRC club event. 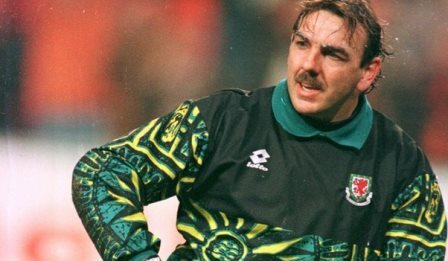 Campaign Worker Jason Webber spoke to Wales and Everton legend Neville Southall at our recent club event. Southall shared his views about racism in sport and society. Q. Do you believe racism is still an issue in sport & society? I think it's got better, but it's still a massive issue. You only have to look at the issues around the Olympics. Although I think that it has highlighted the power of people these days, with regard to how people have reacted against the problems and continue to do so with incidents in football. I think that when anyone receives racism in football or sport it's disgraceful and it should not happen. I think it is easier for a sportsperson to deal with racism than someone in the public. Sport is very unique, where you can have thousands of people being racist to one person or a team at any time. There are more clear procedures in reporting it and it is more visible most of the time. I think that racism in society has been as bad as it's always been. For example, people's thoughts and misunderstandings around immigration at the moment further fuel problems that exist. There are certain individuals and groups who promote racism with political views that prey on the fear of people who have been misguided by the media and others. Q. What can football clubs do to help stop racism? The philosophy of the club has got to be clear to everyone. They have to make it clear that they will not tolerate racism first and foremost. They have to engage with the community and their fans to highlight this message. They must continue to work with campaigns like SRtRC to educate everyone at the clubs from the top down including the players, stewards and their fans. The clubs must ensure that any racist incidents are reported to the authorities, they must continue to deal with any issues pro-actively with a zero tolerance approach. Clubs need to work closely with the police and anyone that is found guilty must be prosecuted publically and have to deal with the consequences of their actions. I think that any fan found guilty should be banned for a lengthy time and made to go on an educational course similar to what SRtRC delivers to young people. It is important that they learn about why it is not acceptable behaviour and how it affects people lives. No one is born racist and anyone who has these views can be educated to understand the history of racism and the impact it has on people. Q. What can referees do to stop racism? I think that when there is racism in a game from the crowd it is difficult for the referee. They can abandon the game, but does this make the racists win? I think that FIFA should give more power to referees. If they abandon the game because of fans, or players being racist, the relative club loses the game. If a clubs’ fans are guilty of being racist then the club should be disqualified from that tournament, or have points deducted if it happens in the league. This will help to ensure that the clubs have more of a proactive approach, as failing to deal with this could have a big impact on the club. It will also ensure that the fans or players will be more aware of the consequences of their actions. Q. Have you experienced racism when you were playing? Can you share what happened? We played Liverpool at home when John Barnes had bananas thrown at him and monkey chants towards him, there was uproar about it and lots of headlines about the incident in the media and rightly so! There was nothing that was really done about it at the time. We played Liverpool a few months later and when I was in the goal in front of the Kop I had leeks thrown at me along with anti welsh chants towards me. Many people found this funny and no-one even recognised that this was a form of racism and again, nothing was done. Another incident happened during my time playing where a player on my team verbally abused a player from the opposition. Everyone was shocked and this was out of character for this player. It shows that sometimes people can have these views engrained in them and it is not always obvious to see. Everyone made it clear to him that it was not acceptable to behave this way within our team. At this time in football the players all felt that the behaviour of fans was ridiculous. The problem you had with the fans was that no one was really challenging the chants and their views. There were also certain TV programs on at the time, in addition to views within the media, that either directly or indirectly made this behaviour socially acceptable. After a lot of key black players and others stood up against the issue, the problem started to become openly discussed. More people started to realise that it should not happen especially after seeing the effect it has on the players. I think that the work that the players did back then by standing up against the racists has helped the black players that play in today's game. Q. Do you think that coaches should have to attend a workshop about racism and how to deal with racism as part of their coaching education? Yes, coaches should have to take part in a workshop to learn about what racism is and how to recognise racism. They need to have the tools to deal with the issue and understand how to report it along with the importance of reporting incidents. Knowledge of cultural understanding is so important for coaches and for clubs to understand too. An example of this might be with Muslim players training and playing during Ramadan how a coach or club might need to make some reasonable adjustments for the best interests of the player. It's ridiculous that FIFA, UEFA or the FA have not introduced this. They have a duty of care to ensure that every child and player has a positive and safe experience playing football and are free from receiving racist abuse. This is a huge part of a coaches and clubs role to ensure this happens. I think it is a sign to how serious the governing bodies take racism and that they are more than often too concerned with politics, than dealing with the issue. Q. Who else can help challenge the issue in sport and society? The government and councils need to be more involved in tackling the issue both in sport and in society. Everyone needs to have more of a discussion about the issue and be educated on the topic. There are so many myths that exist, and actually when people learn that a lot of things we read in the newspapers and see on TV are not always statistically or factually true, they often change their views. Q. Do you think that the use of sport by Show Racism the Red Car, is an effective tool to educate young people about racism? I think that the campaign makes a big impact. The work is delivered in a professional way and challenges the young people’s beliefs and thoughts. The educational workshops breaks down any negative stereotypes or attitudes that they have along with anything else that they have seen on TV or that they have heard from someone else. It is put across in a fun and interactive way with many opportunities for pupils to discuss important issues that affect everyone, irrespective of the colour of your skin or where you are from. However I feel it cannot be just a one off session, the teachers need to ensure they continue the anti-racism message and education back in the schools or the campaign must continue to be funded to continue the work they do, or even increase the number of young people that they currently engage with. It's about time that football and the government start taking it seriously, we have got to the point where a majority of people understand that it is not acceptable both in sport and society but we have to continue our efforts to challenge racism and new forms of racism, and finally stop it from happening once and for all.